An odd album that may well have some collector value. In 1968 people definitely were NOT getting together War raged in Viet Nam, and war raged at home. 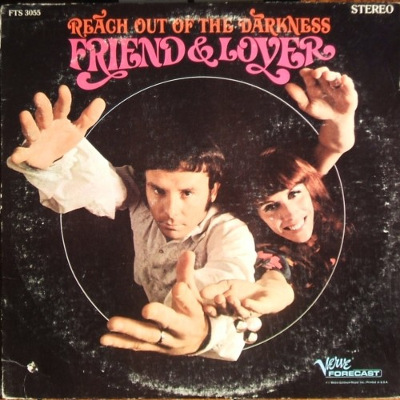 Somehow the unlikely tune "Reach Out Of The Darkness" caught the fancy of radio listeners and became a big hit. Cathy Conn provided powerful vocals. 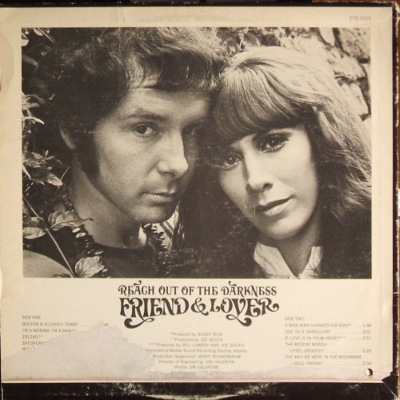 The rest of the album is the collected, muddled hippyisms of Jim Post backed by Pseudo psychedelic music. Fortunately, the presence of Conn keeps the album from sinking like a cement ship. Ode to a Dandelion is Post's only other memorable tune and everything goes downhill from here. What's left to do after writing a loving tribute to a weed?